Designed for a Greater Advantage. • Adjusts both vertically (Set Hinge) and horizontally (Guide Hinge) by 1/8" for a perfect swing. 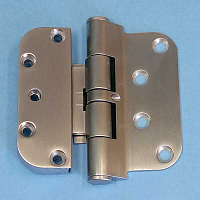 • Aluminum hinges feature flush caps. to access the hex screw. • Single pass routing for quick and easy installation. 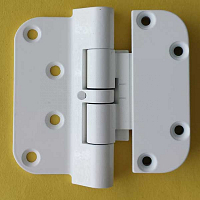 Adjustable Hinges the ideal solution for both inswing and outswing doors. • Especially designed for larger doors, with a panel weight capacity of up to 330 lbs. Tested to a Higher Standard. 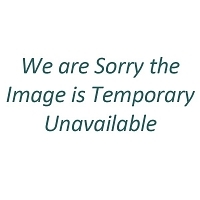 ANSI A156.1 Grade 1 – Commercial test procedures. 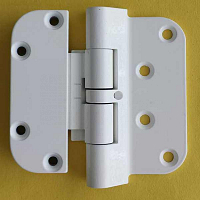 Aluminum left hand guide hinge color F 9010 Pure White. Hoppe hinge part number 3033932. 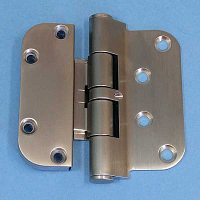 Finish Polished Brass Hoppe Guide hinge. 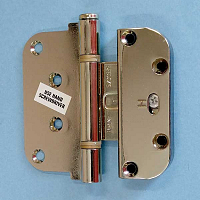 Brass guide hinges with removable pin. – Makes this new hinge the “Ultimate" with door systems. Designed to carry up to 165lbs. per door. Corrosion Resistant – Specially coated components for improved durability and strength. 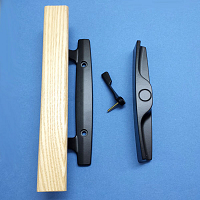 There are two types of adjustable hinges for each door panel. A. 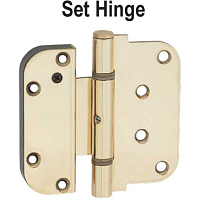 Set Hinge: One per panel. This has vertical adjustment ± 3mm. B. 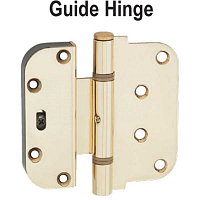 Guide Hinge: Minimum of two per panel. These hinges only have the horizontal adjustment ± 2mm.